On one of my trips to NC. I had the pleasure to tattoo this design on this young ladies arm. I don’t have any healed photos of the tat hoping to get one on my next visit to Fayetteville. 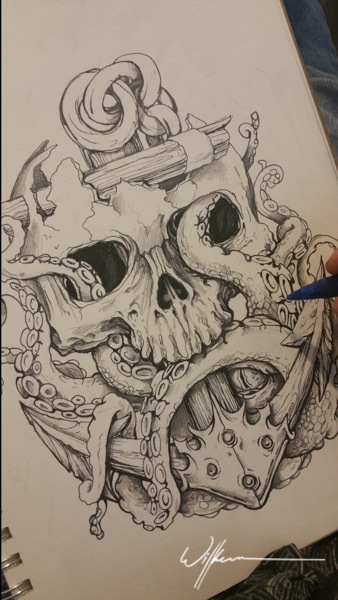 thought I would share a couple of photos of the sketch process with the finished tattoo.